Hundreds gathered at the 4th Annual Five Rivers PbX to explore peacebuilding that helps our region and world flourish. 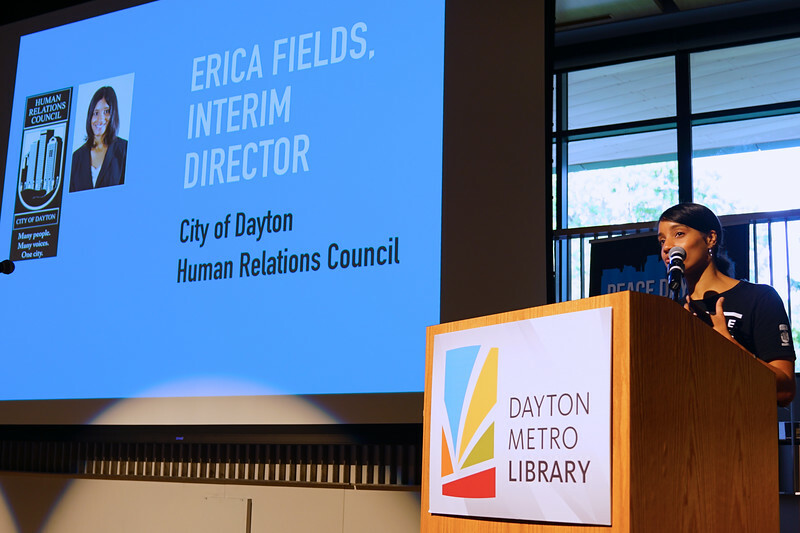 Setting was the new, state-of-the-art Dayton Metro Library and include a plenary session featuring Paul K. Chappell, live music from Rap artist, Kim Belew and Spoken Word artist, Angell Peace. Also included a new painting, Les femmes sont humaines by Patsy Ferrell and ten Break-Out Sessions. Highlighted Circle of Support celebrating 220+ International Cities of Peace. Photography is by Andy Snow (360 and group still) and Heidi Gentis. Thanks to Patsy Ferrell for editing photos for this website.